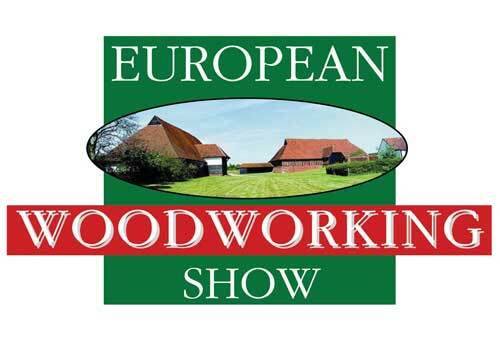 The 2013 European Woodworking Show is fast approaching and this event, now in its fifth consecutive year, will once again be held at the historic Cressing Temple Barns in Essex. The European Woodworking Show has established itself as one of the most interesting woodworking weekends in the UK, thanks to a variety of top class demonstrators from the UK and overseas covering a breadth of woodworking disciplines and crafts. 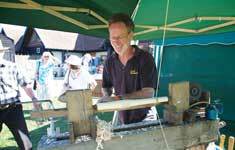 Expect to see wheelwrighting to woodturning, different forms of carving to chairmaking, basketmaking to bodging, sharpening to pyrography, boatbuilding to furniture making and much more. 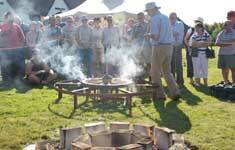 This year's demonstrator line up is extensive and includes the likes of Nick Agar, Bob Neill, David Charlesworth, John Lloyd, Mark Hancock, Michael Auriou and many, many more. See the website for the full list. In terms of trade stands, you can expect to see products from Axminster Woodturning Chucks, Chestnut Products, Camvac dust extraction, Magma lathes and Tormek, as well as many others. The European Woodworking Show is woodworking in action - it is a demonstration led show. Amongst the disciplines covered you can expect to see demonstrations on steam-bending, sharpening, medieval hewing, trying a wheel and classic glue veneering. Once again, the website shows the comprehensive list which is constantly being updated. In addition to all this, as this is a family-friendly show you can also expect to see a storyteller for the young ones, great food stalls and St Peter's Brewery. Discounted tickets are on sale now. Please note that the show opens at 10am both days, closing at 5pm on the Saturday and 4pm on Sunday. Tickets will also be available on the day. This year you could be in with the chance of winning one of Lenka Pavlickova's hand carved glove puppets in return for naming one of her Prague marionettes. You can enter online until Thursday 19 September or in person at the show until 1pm on Sunday 22 September. Details of the competition and entry page can be found by clicking here. Good luck!